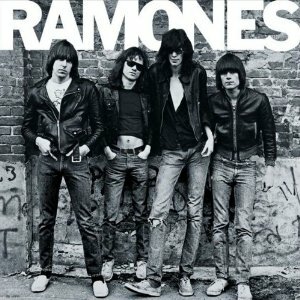 Above: Front cover for debut album RAMONES, released in 1976 via Sire Records. L to R: Johnny Ramone, Tommy Ramone, Joey Ramone and Dee Dee Ramone. It’s an overcast and humid Sunday morning, here in Southwestern Ohio. There are thunderstorms forecasted for later today, due to the cold front coming in from the Northwest. Reports are that some of these storms may be severe. Whoa. Temperatures are to drop to the lower 70’s for this (early) coming week too. That’s early October in July! On a somber note, everyone at Metal Odyssey expresses condolences to the family, friends and fans of the legendary Tommy Ramone. At only 65 years of age, Tommy Ramone passed away on July 11th. He was the original drummer for the Ramones and also contributed as a producer and songwriter for the band. Tommy Ramone was the drummer on the first three Ramones studio albums. If there’s a Rock And Roll Heaven, I’m certain the Ramones are now touring up there and making some noise. God bless them all. 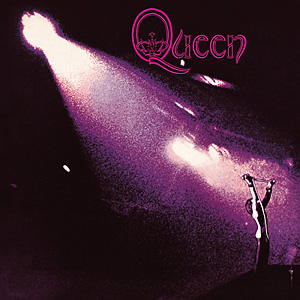 On this day in Rock History, the debut and self-titled album from Queen was released back in 1973. What more can be said? The rest truly is iconic Rock History. By the way, I was only seven years old then. Whoa! This entry was posted on July 13, 2014 at 8:48 am and is filed under classic rock, Hard Rock, Music, music news, rock music, rock music news with tags classic rock, Iced Earth, metal odyssey, Punk rock, queen, Ramones, rock music news, tommy ramone. You can follow any responses to this entry through the RSS 2.0 feed. You can leave a response, or trackback from your own site. That Queen album…man, I saw them on the Old Grey Whistle Test in the UK. The next day, we all had the album! Tracks like ‘Liar’ and ‘Keep yourself Alive’ were like nothing we’d ever heard before. Truly amazing album of my youth! Right on, Kev! The balance of Queen’s music seems as if it’s second to none? The vocals of Freddie Mercury with Brian May’s guitar vocals (if you will) are a priceless combination; then you still have Taylor’s drumming and Deacon’s bass as driving forces as well.